The topic of agency evolution is one that invites us to reflect. More and more, PR agencies are foraying into the future by experimenting on new and un-tested grounds and at the same time keeping an eye on the bottom line. Innovation requires risk taking and acceptance that some of the things we might try won’t work. 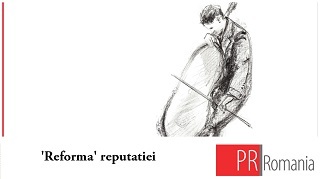 It means at the same time breaking away from the traditional messaging approach to public relations to a more strategic-management approach that improves long-term relationships between an organization and its publics. 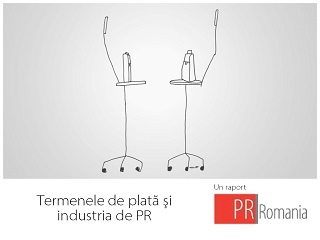 PR Romania relaunches today the debate on how PR can innovate. It's essentially a series of interviews and editorials featuring insights from top international and national PR practitioners. I thank Jon Meakin, Global Business Development Director with Grayling, for the first valuable contribution. I'd love to hear what you all think, and if you have suggestions for future interviews and topics, I'm all ears! I thank also the team of McCann PR for making this project possible. Jon, what is your definition of innovation in PR? Genuine innovation is rare – in any field. Usually what we see is incremental shifts in the way the same things are done, often powered by technology, but always in response to changes in the way information is communicated and influence exerted. How do you assess the capacity of the industry to come up with fundamental innovative approaches? Our industry is full of creative people, so you might expect constant innovation. But we are constrained by our own experience of what works, by risk aversion and – in the agency world – by the imagination of our clients and, let’s face it, by budgets. 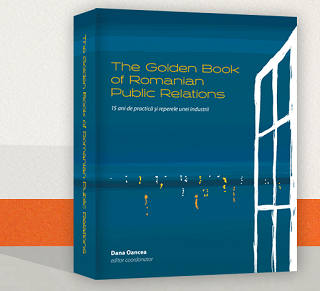 What are the common misunderstandings when we speak about innovation in PR? Innovation does not have to be seismic. For many organizations, simply embracing social media might be considered innovative, while for others it might be a wholesale change to a content publishing model. Innovation is relative. Which are the key factors that are holding back innovation in our industry? We are often prisoners of our own experience, relying on tools and techniques that have served us well in the past, and an innate risk aversion can hold us back. Innovation requires risk taking and that means an acceptance that some of the things we might try won’t work. But the rewards when they do, in terms of stand-out and cut-through, can be immense. Innovation requires time and reflexivity, quite a contrast to the hourly pricing and fee model that defines the actual business model. Do you see a way out of this contradiction? It is possible to build a degree of flexibility into the existing agency model. Indeed, this is necessary if we are to exercise real time creativity rather than blindly follow plans that are set in stone 12 months ahead. This may also mean flexibility when it comes to margins, but this is temporary: Innovation drives results, which should embolden us to unlock larger budgets. Are the clients feeling a sense of priority or urgency about the need for innovative PR services? There is a dichotomy here: Clients recognize that it is becoming more and more challenging to achieve the cut-through they desire, but very few are keen to take the risks needed to set them apart, and burn their probably limited budgets. What might be the next big thing affecting the PR industry in the near future? The industry is affected by three macro factors: The prevailing economic conditions; media consumption patterns; and technological innovation. Should the first of these change, we would all need to adjust; but we in terms of the ‘next big thing’ we can extrapolate from what is already happening in the other two: Our industry is ill-prepared for the ultimate demise of print media and behind the curve on the move to mobile. Who among us really thinks ‘mobile first’? Jon Meakin is Global Business Development Director with Grayling. In his current role, Jon is responsible for co-ordinating Grayling’s response to multi-market briefs, working with colleagues from all disciplines throughout the agency’s international network to develop strategies and ensuring the right resources are brought together. Jon is a Member of the Chartered Institute of Public Relations and the Chartered Institute of Marketing and has previously judged several PR industry awards, including the CIPR Excellence Awards, PRCA Awards and the PRWeek Awards.